3.0 Overdrive characters – Out Now! 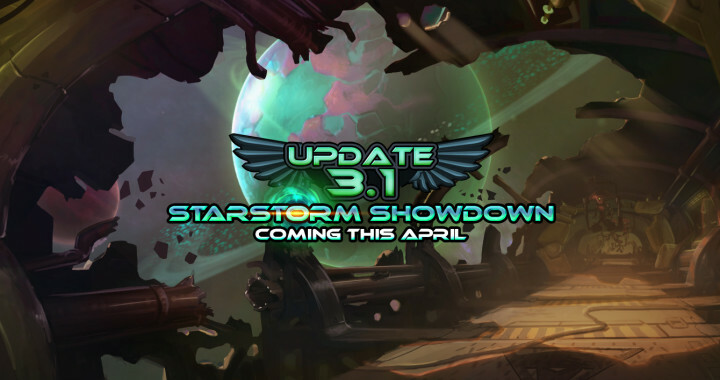 3.1 Starstorm Map & Custom game features – coming in April! We’ve updated this site’s ‘Upcoming content’ section to reflect these plans. Click here to read about the upcoming updates in more detail. Finally, we’ve uploaded the full presentation to YouTube for your viewing pleasure! There’s some new footage of the Starstorm map in there, as well as a lot of technical details on the upcoming matchmaking overhaul. Thanks for watching everyone, and we’ll be sure to keep you posted on any developments. As always, be sure to tune into our daily devstreams where you can follow Ronimo team members as they work on upcoming Awesomenauts features and content.